it was one year ago that i have published the plant pot - world's first stand alone smart plant pot that can email you when it's thirsty, cold, hot, sleeping etc. a lot has changed since the first release. today I would like to share with you our latest and most stable version yet. once completed the end user will know how to build circuits, write code and end up with a finished device that can teach you how to garden. no prior electronics or gardening experience needed.!! before inserting the water sensor, first carefully bend the connector legs to a 90 degree angle, this will help when wiring the circuit. after this put the sensor in to the leg slots and hot glue the openings so they are water sealed as well. the powerbank comes with a short usb cable that you can use to power the microcontroller. for a more discrete look, you can hack the power bank and connect it to the microcontroller internally on the breadboard. now hot glue the remaining sensors, light and temperature. RGB LED goes on the magnetic door. 2. once the account is created, the page will change to your channels, click "new channel"
6. go to https://thingspeak.com/apps/reacts and create a "new react"
8. once your react is saved and your twitter account is linked everything should be working, and you should be getting the alarms on your twitter channel/phone. make sure to put tape around the openings to protect the electronics. i have used white matte textured spray paint. apply minimum 3 coats waiting in between minimum 30 minutes. make sure to paint outside.!! my dream is to teach the world how to garden and build electronics. combining the two just makes things better. i believe that in the future (very near) all plant pots will be "smart"
i already have a few companies as competitors, million dollar companies.. however the plant pot still stands as the most advanced one of them all because it is made by YOU and the open source community we have here at www.instructables.com !! 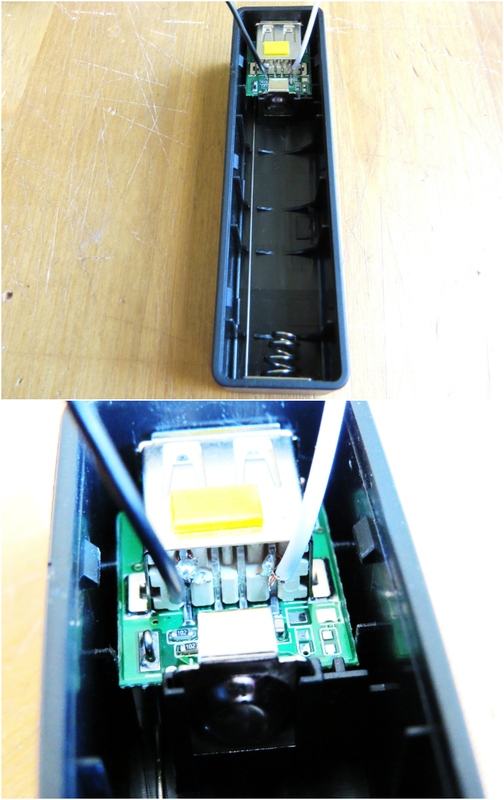 Hello, I've received the smart plant pot kit from ebay recently, but it just contained the electronics(without battery pack), not including the frames. I thought the kit included the frames as you posted that the kit included frames and all the electronics. Is it my misunderstanding of what you meant, or is the kit missing the parts? What is the width and height of your plan? do you have the coding in wifi shield ? hello, sry for late response. there are too many different possibilities why it might not be connecting. do you get sensor data readings.? your wiring maybe wrong..
if the wiring was wrong at first, sometimes it does brick the board. that's a possibility. i'm pretty sure name with spaces are ok. at home i have spaces and it connects. what is the ideal moisture limit for a plant when it is watered sufficiently?? when its not reversed, 0 being the driest. i set mine to <300..
Is it possible to connect a ds18b20 sensor to this as well? I've tried a number of different wiring and code methods. Anyone able to do a guide on how to do this? I have my plant pot using water from my fish tank and I want to read the water temp with my smart pot. hello Ross, sorry to hear that.. yes it is possible and it should be fairly simple. can you share what wiring you have followed to test and the code. there are many instructables on ds18b20, i'm sure you are already aware of. let me know how it goes.. which microcontroller are you using.? Could you upload the 3D covers template in .stl instead of .skp form? here you go, please share your work with pictures.!! i wrote on Facebook if my teacher accept this project i'll start. thx for everything. I don't know what units any of these are in, I'd like to be able to see Temp in C. Anyone know what units these sensors are in? hello Ross, numbers you are seeing are raw readings, limited to 0-1023. 0 being most dry/cold/dark and 1023 being the most wet/hot/light (or vice versa). if you look at this article; https://learn.adafruit.com/tmp36-temperature-sens... you can see an example of how to convert this data into C or F or basically anything that you want. even a 0-100% " float temperatureF = (temperatureC * 9.0 / 5.0) + 32.0; "
I followed the guide and downloaded the DHT.zip library as well changed my data wire to use SCL/PIN 3 (according to this diagram: http://7fvk57.com1.z0.glb.clouddn.com/pinouts-txt.... now all I get for Temp / Humidity is 0.0 not sure what I did wrong or what port to use? your shared links are not accessible..
Im on my way in doing this project but I couldnt find the microcontroller that you used. Instead I found something else but not sure if it will work. Its the WiFi Serial Transceiver Module w/ ESP8266. So im wondering if you could tell me if this module can act as same as your microcontroller and if the programmings are the same.